Flashlight - 4 in 1. 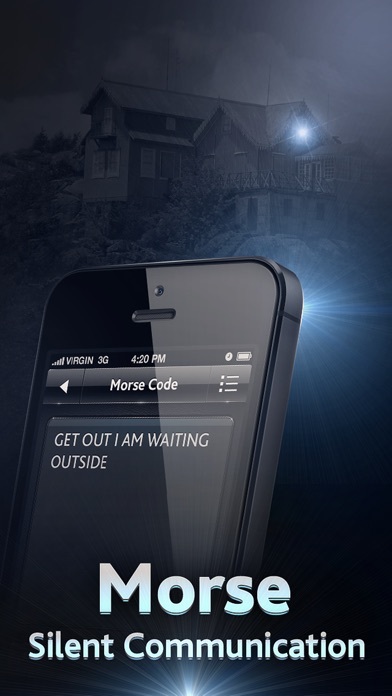 Flashlight, Strobe, Morse Code, Lighted Magnifier is the most versatile Flashlight in App Store. Flashlight 4 in 1. 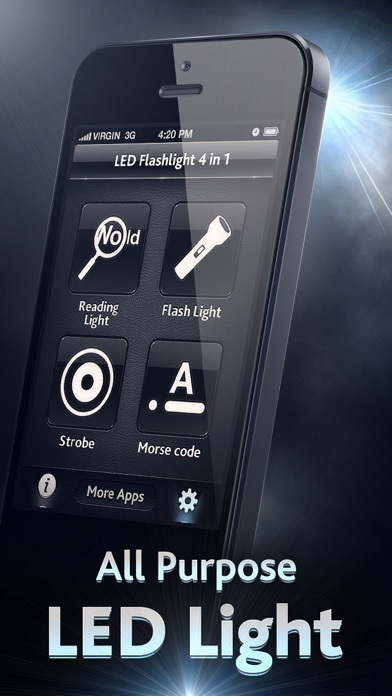 Flashlight with dual switch, Strobe, Morse Code Transmitter, Lighted magnifier - all in one single app. Tired of downloading numerous apps trying to get the most out of your iPhone 5 bright LED? Look no further. AppAnnex is bringing to the market the most utilitarian and versatile Flashlight 4 in 1 - a set of useful LED applications bundled in one convenient utility tool. A must have app for every iPhone owner. "Amaizing app!!! - Best LED app ever! Very useful! Must have!" "Lighting the way - This is the most superior lighting app on the app store." "Swiss Army Light!!! 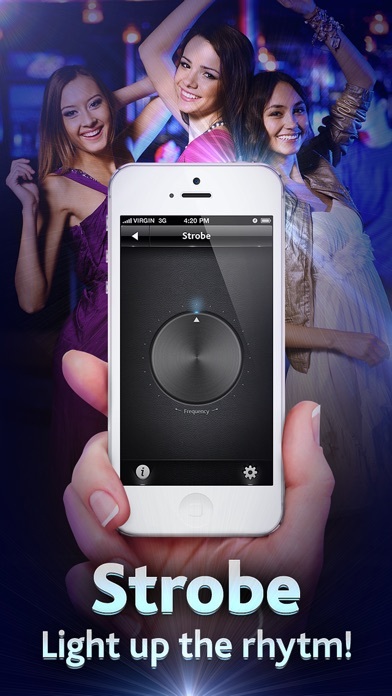 - iOS 4.3 iPhone 4GA dynamic lighting app with personality!" Fast to come on, bright and powerful. Equipped with Dual Mode switch with a constant ON option and momentarily ON/OFF tactical pressure switch. Invent your own coded language and communicate with your friends by emitting bursts of bright light of arbitrary length by pushing and holding control button. Sharp powerful magnifier with ratios up to 4x and combined with LED light will let you read the finest print and explore micro world to the greatest detail. 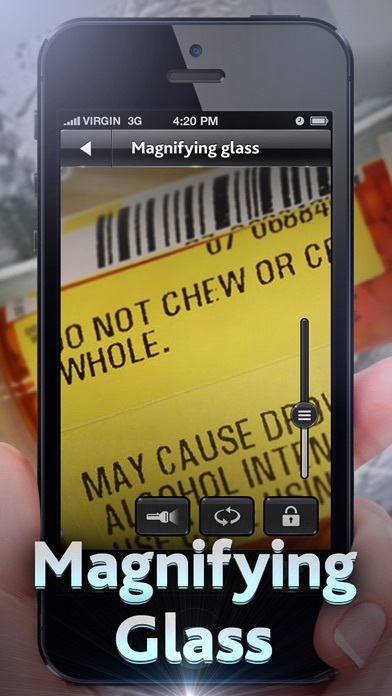 Built in camera support lets you snap a picture of what you see in magnifier and save it on your device. Morse code encoder and transmitter with easy to use interface. Type in your message and hit transmit button. Your message history is saved. What else can be said?! Versatility + dependable design + awesome brightness = Flashlight 4 in 1! Don't wait for it, go and get it! • Continued use of the flash may dramatically decrease battery life. • Fully suitable for iPhone 4, 4S and iPhone 5 only!